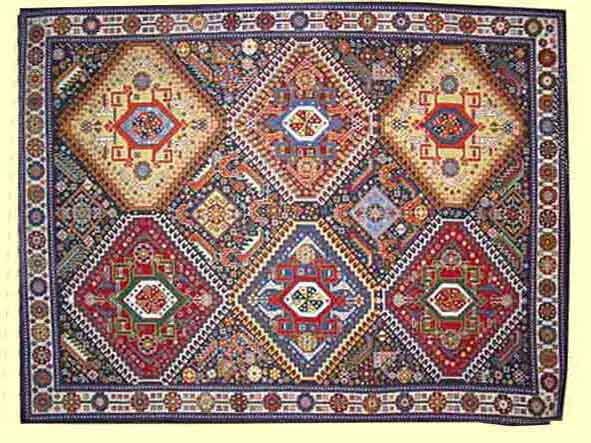 Copy of Quashqui rug worked on 18 mesh canvas with crewel wool. The original pattern was from a piece of wrapping paper, with a magnifier I was able to count the stitches and work out the size of canvas needed. This represents about 1000 hours work.